The most in-demand roles in Q2 2018 have been Quantity Surveyors, Mechanical and Electrical/ Building Services Engineers, Planning Engineers, Site Managers, Project and Contract Managers. Q2 continued in a similar fashion to the strong levels of activity in the construction market in Q1. A sharp demand has been noticed for construction professionals especially at intermediate levels. According to an annual review conducted by AECOM, the Irish construction industry grew by 18% in 2017, and has a projected growth of 14% in 2018. This is a result of a greater demand for housing, more commercial buildings and improved infrastructure to accommodate Ireland’s growing population especially in urbanised areas. With the construction industry valued at €19.5 billion in 2018, and an ongoing skills shortage from the previous downturn, noticeable increase in salaries, tenders costs and construction costs (1.48% quarterly increase) be seen in Q2. Hot construction topics in Q2 included the chronic housing shortage, stark increase in Datacentre investment and the continued interest for international pharma companies, establishing a greater Irish presence. With an additional 35,000 homes required to be built annually, a stark increase in construction workers will be required to meet the demand, with 112,000 additional skilled workers required by 2020 according to the CIF. With investment from the big tech players such a Facebook, Google and Apple in Q2, Ireland continues to become a hub for Data centre construction, with the Host in Ireland association reporting that a further €1.1 billion euro will be invested in their construction this year. Adding to the €5.7billion euro investment so far here in Ireland, with an expected €1 billion annual investment for at least the next 4 years. The Pharma sector continues to grow in Ireland, with a number of additional Pharma facilities announced for construction in Q2, with companies such as Takeda and Shire proposing multi-million euro investments in expanding there Irish operation creating an additional 220 jobs. Additional Q2 saw Chinese Pharmaceutical Wuxi Biologics proposed a €324 construction projects, for its new facility in Dundalk, with an additional 700 construction jobs expected to be created as a result. “Ireland’s ability to attract and retain talent as part of our inward investment strategy is being eroded by a range of problems that are damaging the quality of life of our people including housing shortages, access to essential services and traffic congestion”. Until such a time that the overall strategy for incentivising Ireland’s current workforce to remain as well as a return is revised, the apparent shortage of skills in the construction sector will remain a predominant challenge. With the rise of IT companies in Ireland, there has been a noticeable shift in the number of school leavers considering careers in construction and engineering. This is largely a result of large marketing campaigns targeting Ireland’s youth, by a lot of the new and existing technology companies, alluring some of Irelands best talent with exciting projects, work-life balance, high salaries, and perks. Greater efforts need to be made, to educate Ireland’s youth on careers in construction, highlighting that most construction jobs do not involve standing outside in cold construction yards. Additionally, Construction/Engineering companies need to consider improving the attractiveness of their work environment and increase their marketing efforts to acquire the best talent in the market in the future. According to a Membership diversity report issued by the CIF, only 5.5% of the on-site construction workforce in Ireland is made up of women. A recent survey by the Construction Industry federation that while “70% of firms recognise the need for more women in the industry, just 4% had structures in place to make that happen”. Certainly more needs to be done, in terms of encouraging young women in pursuing a career in the construction and engineering industry. The outlook for Q3 continues to be very promising. Activity within the construction sector shows no sign of slowing down and neither does hiring activity. With high levels of state and private investments in the construction sector, the sector remains buoyant, with promising employment prospects expected in Q3. Confidence among the construction sector remains high, with companies seeing positivity in relation to the Irish construction industry and the wider Irish economy. Our construction and engineering team are consistently ready and prepared to assist with hiring requirements for small and large projects. 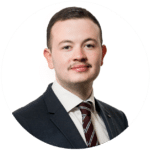 Please contact Brendan Mullins if you need assistance with your recruitment at bmullins@lincoln.ie or call 01 661 0444.